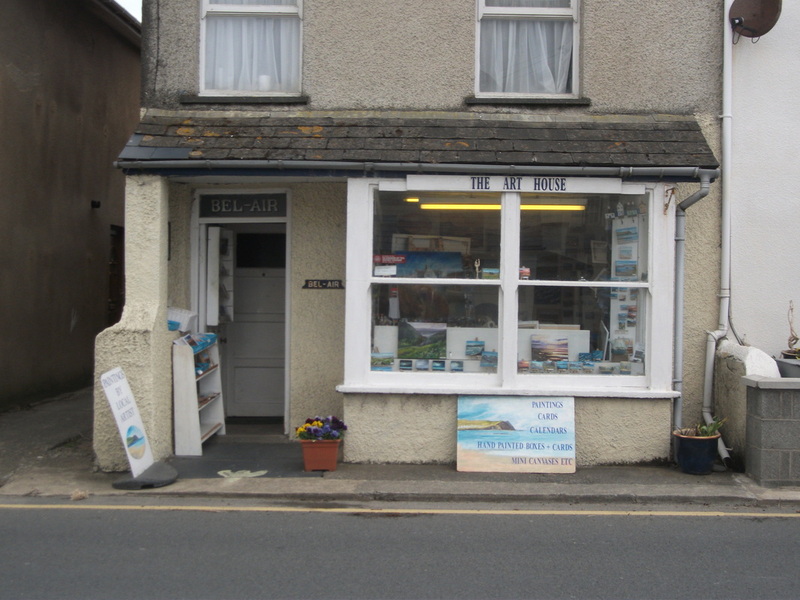 The shop is open daily except Tuesdays.Winter hours can be shorter but usually 12-4pm and longer in the main season 11-5 pm.The Art House is situated halfway along Borth high Street , Ceredigion SY24 5JA . It is advisable to phone if you are travelling any distance specially as occasionally there are unavoidable changes. If you wish to commission a painting or have an enquiry about paintings of a particular place please phone or email. I can paint from your own photos or go to the area myself.